The journalistic transparency group WikiLeaks has publically disclosed millions of internal diplomatic documents and cables leaked from the U.S. Government. The documents reveal the realities of international diplomacy—often with unvarnished candor. In particular, the diplomatic communications reveal much about Qatar’s sovereign wealth fund, the Qatar Investment Authority (QIA). One U.S. Government document from June 2008 reveals the QIA’s difficulties with the International Monetary Fund’s principles of good governance and financial disclosure standards, called the Santiago Principles. The document reveals that the Qatari government expressed concern to then-U.S. Treasury Secretary Henry Paulson about guidelines for sovereign wealth funds then being developed by the International Monetary Fund (IMF). The IMF exists to foster global monetary cooperation and secure financial stability. As such, in 2008 the IMF developed best practices to guide the governance and investment practices of sovereign wealth funds as well as to ensure their transparency. As the IMF was attempting to persuade sovereign wealth funds—especially from developing nations—to agree to the 24 voluntary principles, Qatar resisted. According to the cable, the Qatari Finance Minister Yousef Hussein Kamal (Al Emadi) “expressed concern about [the] IMF-developed guidelines”. 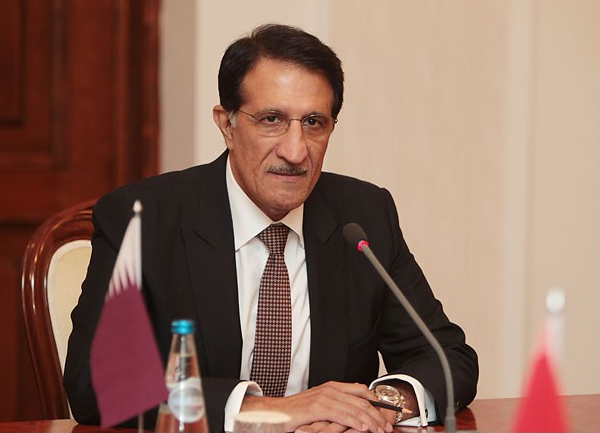 Kamal said he believes the IMF-proposed rules are “not for everyone.” According to the cable, “He singled out transparency requirements as a particular concern for the Qatar Investment Authority.” The QIA, Kamal said, cannot disclose its asset allocation because this is against Qatari government regulations. Kamal was right. Despite its juggernaut size, relatively little is known about the QIA’s investments because the QIA is not required by Qatari law to publish an annual report or submit its books to an independent audit. In light of the finance minister’s distaste for the IMF guidelines—which the Qataris ultimately did agree to in late 2008 in the Chilean city of Santiago—it should not come as a surprise that Qatar did not follow them well. Six years after agreeing to the guidelines, in October 2014, a Geneva-based political risk consultancy called GeoEconomica ranked 25 sovereign wealth funds against the IMF’s principles of good governance and financial disclosure standards. The QIA ranked last in its compliance with the Santiago Principles. The 2014 report deemed the QIA “non-compliant” with the Santiago Principles and gave it a D rating. The QIA was the lone non-compliant fund. The 2013 version of the same GeoEconomica report tried to quantify the QIA’s compliance and estimated that QIA complied with a mere 31% of the Santiago Principles. The 2013 report claimed that the QIA “fails to provide conclusive information about its mandate, finances, accountability and governance arrangements.” The 2014 report explains that funds were deemed non-compliant “if their governance, transparency, accountability arrangements and disclosure practice in our view are deficient across most areas covered by the Principles.” GeoEconomica urged “that a stronger commitment by QIA to a proactive disclosure policy would enhance the overall legitimacy of the Principles.” The 2014 report continued by noting that the four Arab funds “lag behind in their public disclosure policies. This should be a major concern, as their conservative commitment erodes the Principles’ legitimacy”. According to the Financial Times, reviewing the 2014 report, “GeoEconomica’s conclusion underscores the opaque nature of some funds […] even as they pervade the corporate world by expanding abroad and ramping up their direct investments in companies and infrastructure projects.” The QIA declined to comment.